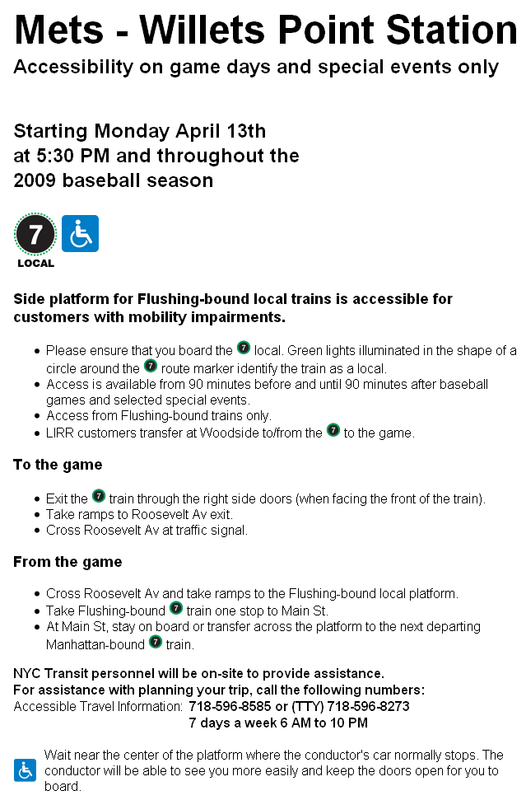 You may have noticed the fancy new LED signs that have popped up on the (7) – Flushing Line subway trains. These LED signs show a green circle for local trains and a red diamond for express trains. 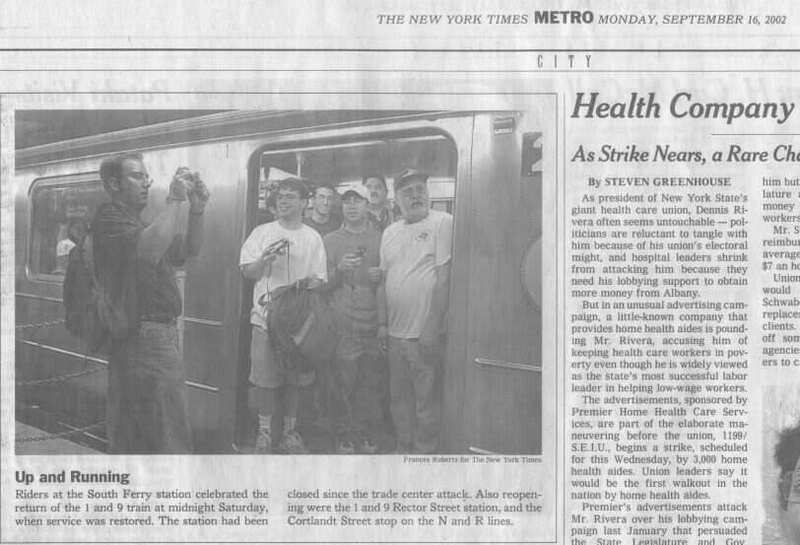 And the reason for them is because between runs, the subway train crews often don’t have time to change all the manual rollsigns in all the subway cars to reflect that, for example, an inbound that was an express is now an outbound that is a local. With the LED signs, local/express designations can now be electronically changed on all the cars, all at once. Well, even though these LED signs have been around for a bit, it seems New York City Transit really hasn’t said much about them. 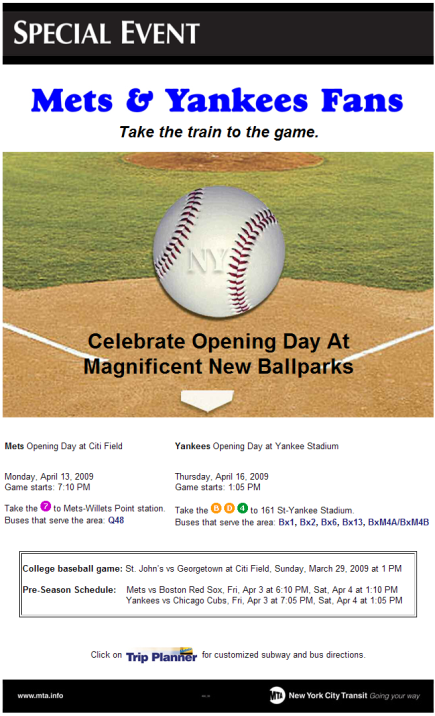 On paper notices, and on the website, the symbol for the (7) local has remained the purple circle, and the symbol for the (7) express has remained the purple diamond. 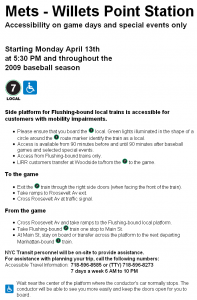 Starting with the Mets – Willets Point Station Accessibility Poster seen in the link and in the images down below, the (7) local is being shown as a black circle surrounded by an outer ring of green LEDs. I don’t know if this is an official change or what, but this is the first I’ve seen these new logos. If you’ve seen them used before, please let me know.